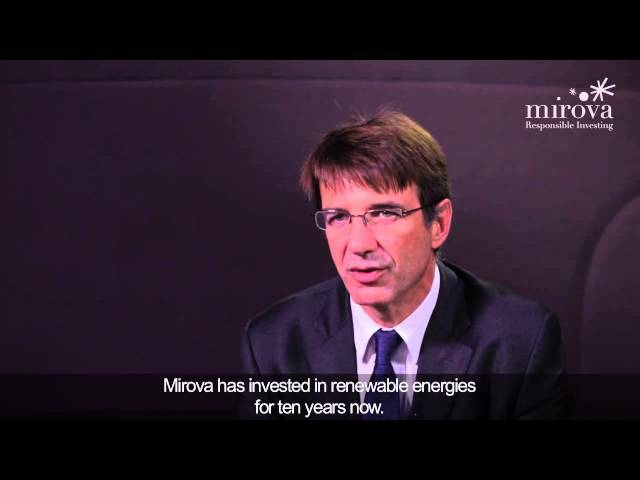 Mirova’s Infrastructure team is dedicated to financing the infrastructure of tomorrow. Within Mirova, the Responsible Investment division of Natixis Asset Management, the Infrastructure team (Mirova Environment and Infrastructure*) works on projects that address sustainable development issues. Achieving a new “industrial revolution” will involve an in-depth change in our infrastructure so as to adapt it to the energy transition, as well as building infrastructure with a strong social impact. With a dozen investment professionals, the team focuses on two key areas: energies and public-private partnerships. “We offer investment funds in the European renewable energy sector (wind and solar power, biomass, etc. ),” explains Raphaël Lance. “Our funds invest in a wide variety of public infrastructure projects in France: universities, stadiums, hospitals, urban and rail transport, etc.,” underscores Gwénola Chambon. At end-December 2012, Mirova’s Infrastructure team had close to €6 billion in assets under management in four funds: Fideme, Eurofideme 2, FIDEPPP and FIDEPPP 2. Today, financing new infrastructure requires the use of innovative sources of funding, notably private savings. This is a fundamental trend that will provide concrete solutions to sustainable development issues. * On 7 February 2013, Natixis Environnement & Infrastructures was renamed Mirova Environment and Infrastructure. ** Source: Natixis Asset Management.